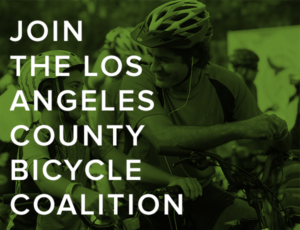 Last week, I offered each of the candidates in the March 3 city election for the L.A. City Council District 5 seat an opportunity to address the bicycling community. The first response came from Adeena Bleich, and was posted on Friday, the second, from Robert Schwartz, appears below. You can see the original invitation here, and all the statements received so far by clicking here. Thank you for the opportunity to write something to your readers. Let’s face it. Be you cyclist, driver, transit user or use many modes, L.A.’s streets aren’t an easy place to navigate and getting around can be difficult. The city can, and must, become a safer place for everyone to get around. 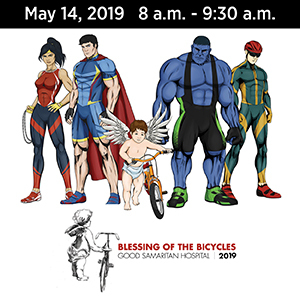 Before I get into specifics, let me say that while I am not a regular bike rider, I do have a great appreciation and respect for those that do use their bike for transportation. Not only are you doing the best thing for the environment, you also seem to be having a lot more fun doing it than those of us who are more reliant on our cars. 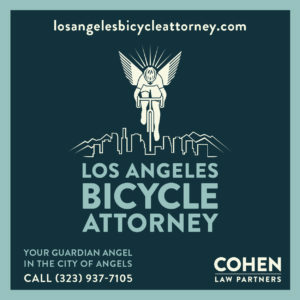 Because I value what bicyclists do for Los Angeles, I frequently seek the advice of Damien Newton so that I can I understand the needs of those who don’t always travel by car. You mention the Cyclists’ Bill of Rights in your article, and it’s certainly a good idea to enumerate all of the rights that you have as users of the road, but the Bill of Rights is a starting point, not an ending point for what the City Council can do. First, we must make sure that as a City Councilmember, I have a good idea of your experiences as cyclists. 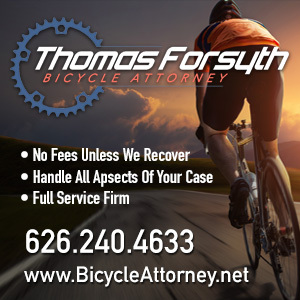 One of the best ways to do that is to make certain that my staff and I are in regular contact with my representative to the Bicycle Advisory Committee. Each Council Member can appoint one person to sit on this board, and I will make sure that whoever sits on this committee for me will work with my office to make sure your views are heard and that we know what is going on on the street. Second, we await with interest the results of the city’s Bike Master Plan and will make sure the City moves quickly to move projects from paper to the street. It’s important for a city to have a plan, and not just build projects whenever funding is available or because a politician wants to go to a ribbon cutting; but it’s even more important that the plan does more than gather dust. The City’s draft plan is due soon, and after more feedback from the community we should have a final plan approved early in the next term for the incoming City Council. Lastly, and perhaps most importantly of all, I need to hear from you so that I can best understand your experiences and needs. If there are streets or intersections that are unsafe, as your City Councilmember I want to know where they are so that we can get to work to make them safer. As I said at the start, every L.A. commuter deserves a safe and comfortable trip. Working together, I hope we can make that happen for all Angelenos, but especially those choosing to commute on two wheels instead of four. If you want to contact me, join my campaign or just learn more about it, please visit my website at http://www.RobertForCityCouncil.com. Awesome! Thank you for posting these!